September 27 2016 – Sorry for the lack of updates but this new home went under contract in early July and we closed today. The HERS score for this new Energy Star home is 51!! That means this R&R Homes Energy Star new home is approximately 49% more energy efficient than a typical new home. 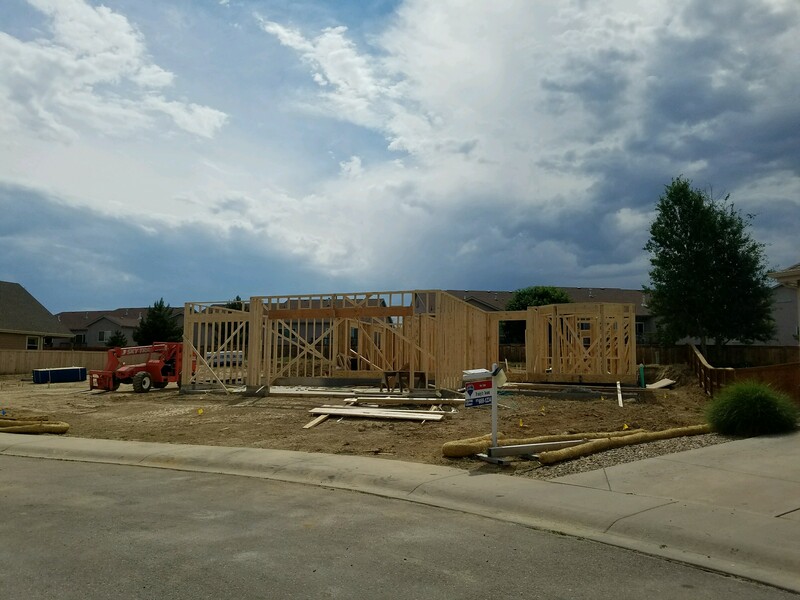 July 6 2016 – We are almost done framing this house and we will begin the plumbing, HVAC and then electrical rough-ins this Friday. June 23 2016 – We are framing this house now and will set the trusses on Monday morning. 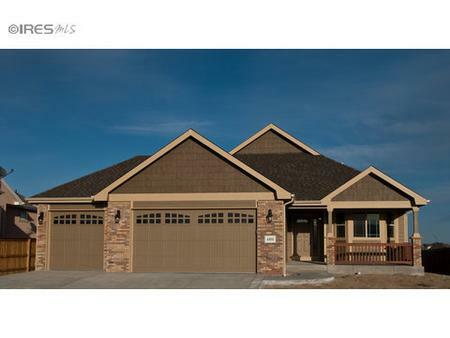 R&R Homes new Energy Star home in Northern Colorado for sale at 4715 Ridgway Drive in Kendall Brook. June 20 2016 – We are now framing this new Energy Star home and will begin roughs (plumbing, heating and electrical, etc.) in the first week in July. 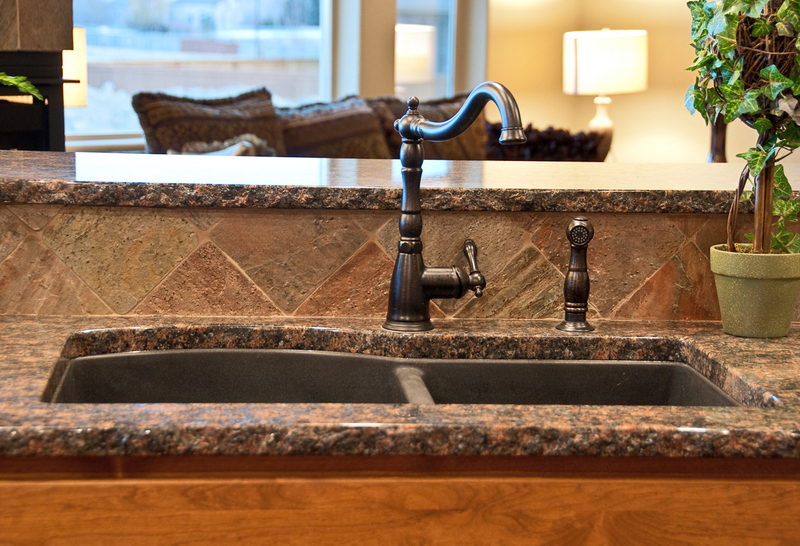 Please contact us now to see what items you may choose for your new home. June 14 2016 – We will begin framing this new R&R Homes Hollister model house soon and should be ready to move-in around mid to late September. This R&R Homes Hollister model Energy Star new home at 4715 Ridgway Drive Loveland CO 80538 in the highly desirable Kendall Brook neighborhood in NW Loveland. NW Loveland is a great location in Northern Colorado with easy access to Fort Collins and Berthoud and I-25 is only a short drive away. We are up against the foothills so there is really easy access to all the hiking trails and happenings in the Rocky Mountains. This very energy efficient new home will have all of our signature standard features such as real hardwood floors, porcelain tile, gas range, refrigerator, 2×6 main level walls with R-23 blown-in insulation, epoxy sealed garage floors, etc. etc. There will be upgrades to this home we will detail later but you can review our exceptional standard features here that we included in every new R&R Home. This home is expected to have an Energy Star HERS score in the low 50′s so your new home will be about 45% more energy efficient than other new homes. We also incorporate many Green Building features, materials and building practices into our new homes. Please visit our Energy Star webpage or Energy Efficiency Blog to see more about how an Energy Star home saves you money on utilities every month, provides better indoor air quality and provides a higher re-sale value. Please contact Tracy Wilson at Tracy’s Team with Re/Max Alliance at 970-567-0907 for more information on this new Energy Star home for sale in Northern Colorado.